5:55 PM. 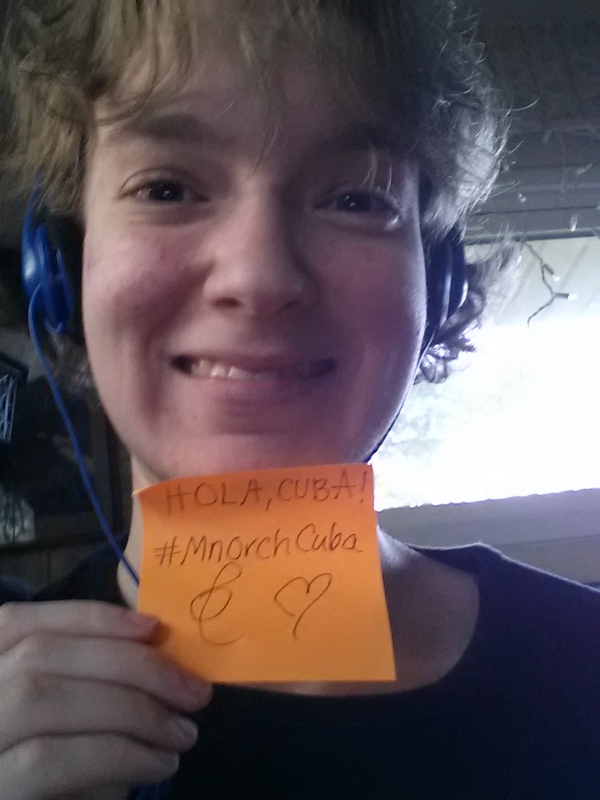 The second Minnesota Orchestra broadcast from Cuba is rapidly approaching! Please join me! Facebook, Twitter (those two places were where most of the action was last night), or here on the blog. So pour your drinks and make your Cuban inspired dinner. Please don’t go to Taco John’s. 6:06 PM. If you need some pre-concert reading, take a peek at Scott Chamberlain’s blog, Mask of the Flower Prince! He’s on the ground in Cuba tonight. Pretty sure that this is the first orchestra-related crowdfunded arts journalism effort ever. And that is awesome. 6:28 PM. 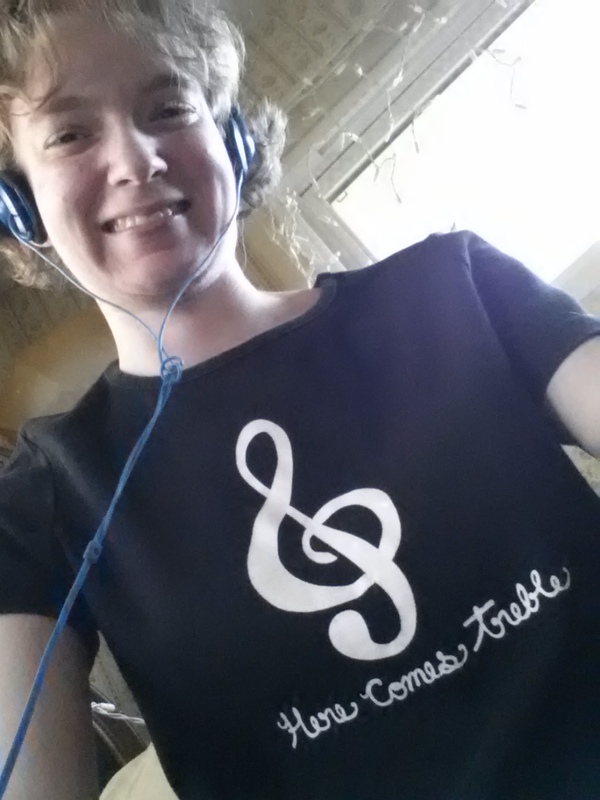 This shirt is in honor of Richard Marshall, Minnesota Orchestra violist and notorious pun lover. 7:27 PM. Feeling some intense hometown pride as Brian Newhouse runs snippets of interviews with Cuban concertgoers who express gratitude and who (not surprisingly) want the Orchestra to return. (I’m starting the hashtag now: #CubaTour2016.) One woman says they don’t have this sound in Cuba. Not many places do. We are beyond blessed to have this ensemble in our backyard, just in case you haven’t thought about that lately. 7:42 PM. An astonishing moment as the Cuban and American national anthems are played one after the other, with loud enthusiastic applause following. Wow. 7:53 PM. The Bernstein Symphonic Dances are going along swimmingly, with plenty of verve and swing! 8:06 PM. The orchestra is fine form, sounding relaxed and assured. I forget sometimes how truly lovely the Bernstein Symphonic Dances are, so it’s fabulous to be reminded. 8:15 PM. Audiences immediately reward the Bernstein with resounding Bravos! Brian Newhouse muses aloud if this is partly due to the extraordinary gesture of the two side-by-side national anthems that preceded the first half of the show. 8:16 PM. Last night MPR interviewed a Cuban audience member, who observed how in the old days, luminaries such as Heifetz and Rubenstein used to visit annually. Let’s hope the high-level music-making resumes and continues. 8:31 PM. During intermission, Minnesota Public Radio is playing an excerpt from Osmo’s first concert as music director with the Minnesota Orchestra… Grieg, Peer Gynt. I was in my early teens back then. Feeling a serious time warp. So much has happened. So much. And I’m grateful. 8:40 PM. The orchestra launches into a threateningly intense Prokofiev performance. Shades of a delicious nightmare. 8:55 PM. As the Prokofiev continues, the music dances back and forth between carefree sarcasm and mesmerizing, practically otherworldly beauty. 9:00 PM. Practically had a heart attack when my signal dipped out for half a second. I’m clinging to these sounds like they’re oxygen. 9:01 PM. ~~~DRAMA~~~ as the broadcast signal goes down! OMG! But Brian Newhouse remains cool as ever, smoothly citing “gremlins” and redirecting us to a Sudbin / Vanska / Minnesota Orchestra recording. You can tell they’ve rehearsed what to do if this happens. We’re in good hands. 9:08 PM. The signal is back online, returning us to glorious Prokofiev! 9:16 PM. In the last few minutes alone we’ve been treated to so many ghostly sounds: brass choirs, so-soft-you-can’t-breathe string chords, and now some tenderly foreboding oboe lines. The end was so quiet, so magical… The applause begins slowly, audience stunned. 9:20 PM. Now to bravos! 9:30 PM. And the final encore is the same encore as last night, Säkkijärven Polka, as arranged by The Man himself, Osmo Vanska. As Eric noted: “There is no more music in the folders.” He would know! 9:35 PM. We end this extraordinary evening with a recording of turbulent Sibelius. I remember that not too long ago Sibelius 2 was being played at the Minneapolis Convention Center in the middle of a dark, cold winter of discontent…a winter both literal and metaphorical. That winter is now over. And so we pass into a bright spring of possibility. I really loved the dress I wore that night. And now is as good a time as any, between the tour news, and the Sibelius, and (most excitingly) the likely Osmo / musician contract extensions alluded to today in the Strib, to share that I will be PACKING said dress…in my suitcase…for my flight…next March…to New York City! New York! Carnegie! Hilary Hahn! Sibelius! EXCITEMENT! Lots of details have yet to be ironed out, but I just wanted to give a little teaser that SOTL is going on the road to NYC in March 2016 to cover the Orchestra’s next tour, and I could NOT be more excited to share the trip with my dear readers! So thank you one and all for joining me on the journey – not just to Minneapolis, or to Havana, or to Carnegie, but to this moment! An overwhelming moment that transcends place and time. Nice to hear the Bernstein Divertimento MN Orch did a couple weeks ago! Amazing, underplayed piece. Stan the Man’s arrangement of the National anthem. That man has done so much in his life. Damn. “There’s a Place for Us”. They sure have carved one out! Notice nobody’s coughing? We’re not in MN, Toto! They did the Prokofiev (sp?) earlier this year – that “March of the Knights” is really eerie. thunk that we almost lost them in the lockout. Hurray for everyone who fought to keep this music alive and living and, now, sustainable…. after Cuba, who can argue that classical music is anything but ALIVE and THRIVING! Take that, M Henson!! Than you, Emily for bringing your passion, intelligence and perseverance to supporting the orchestra and playing an important role in bringing about this moment. It is a triumph! I have not heard all of tonight’s concert yet, just the Bernstein. Last nights concert was wonderful. This has been a technical tour de force. It sounded really good here. The MPR streaming is much improved of late, so I streamed both concerts and committed them to hard drive. The signal from Havana had to be beamed by satellite, to Switzerland and then to London and on to St. Paul. From there sent to radio stations or streamed on the Internet. The stream I received here on the shores of Lake Benedict in the Paul Bunyan Forrest was excellent. Fortunately my systems held up also. We had violent weather here, and a power cut during the recording. However the UPS units in the equipment racks switched to battery instantly, and neither the fiber cable converter, the router, the computer or the external DAC missed a beat. The auto start generator started within five seconds, so little battery power was used. You can not tell where the power cut occurred. Modern technology is truly amazing. So I am glad to say I have a wonderful momento of these historic broadcasts. I look forward to hearing tonight’s broadcast tomorrow. I’ve already asked for the week off and have stopped buying shoes (well, slowed down . . . ) so that I can go to NYC with a blue and white wardrobe. I also want to go to the Met a few times and introduce my niece to opera. I’m not so sure I should expose her to the groupies at Carnegie Hall, however – what do you think?!? Minnesota Orchestra groupies are terrifying. Be extremely cautious. I listened to yesterday’s concert this afternoon. It sounded very good. That hall seems to have a very nice acoustic. It was a pity there were technical problems in the Romeo and Juliet. We lost about 8 minutes I think. I hope MPR made a recording on site they can broadcast later, and I can edit out this problem.